In case it hasn’t been obvious enough, AMD cares a lot about getting VR into the hands of everyone. That desire backed the launch of its first Polaris-based graphics card, the Radeon RX 480, released this past summer. While VR kits are still priced higher than most consumers are willing to pay, the situation as a whole continues to get better thanks to cheaper, better hardware. Coinciding with Oculus’ Connect 3 event in San Jose this week, AMD announced a PC configuration that costs a mere $499 and is completely VR-ready. For reference, if you were to go with this Rift-approved PC and pick up the VR kit as well, the total price tag would be $999. Not too shabby. 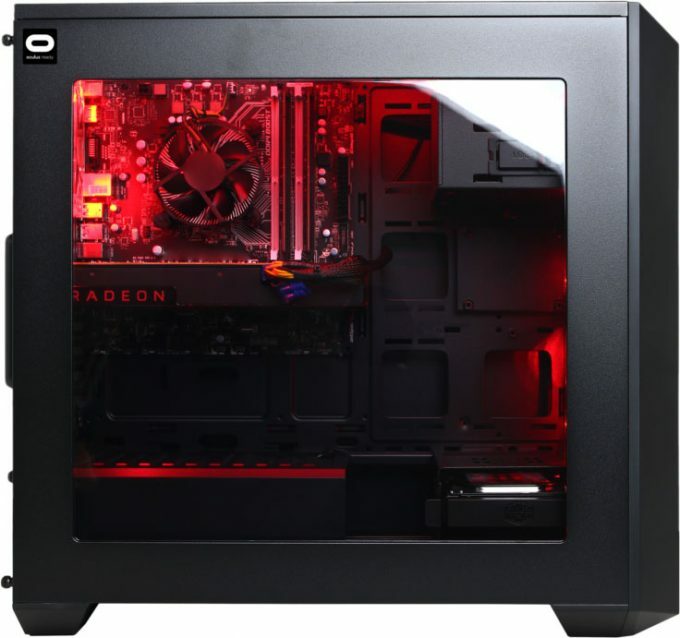 AMD’s Senior Technical Marketing Specialist Jason Evangelho penned a post praising the AMD-infused configuration, saying that earlier this year, the least-expensive VR-ready PC you could have purchased cost $949. Fast-forward to today, and there’s an option that costs half that. While we’re not sure of all the specs, the main takeaways are that the PC includes an AMD FX-4350 processor (Quad-core 4.2GHz) and a Radeon RX 470. It might be a little disappointing to see an RX 470 in the build rather than the top-dog RX 480; however, as we found out a couple of months ago, the RX 470 is almost as powerful as the RX 480, but of course costs less. It seems to be the smart choice in a build like this, when the target is $500. There is one important bit of information to convey about this configuration: it’s not available right now. We’re told that CyberPowerPC is expected to put the configuration on its website soon, but it’s better to look at it being some point during Q4. Once it’s up, you should be able to find it through this landing page. While it’s unfortunate to not have it available right now, this does give you a bit more time to save up for a VR kit!